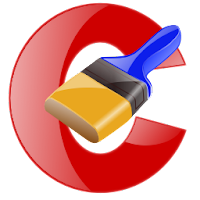 CCleaner reached version 3.09.1493 . CCleaner 3.09.1493 is a software designed to protect your privacy and maintenance of computer you use. What knows to do CCleaner 3.09.1493 ? First clean the thread traces you have left after using the computer, including surfing the Internet. Second CCleaner 3.09.1493 knows how to protect your computer, cleaning it of any residual files. What's new at CCleaner 3.09.1493? It added support for Firefox 6.0 beta HTML5 Offline cache cleaning, management for Firefox, wildcard support to folders, cleaning for Zune and WAS Improved cleaning for Real Player, Chrome and Saved Passwords Saved Form Information cleaning, Enabling / Disabling Startup Items, etc..